A little egg character for your Easter designs. Cheerful Easter graphics that are as sunny as spring. 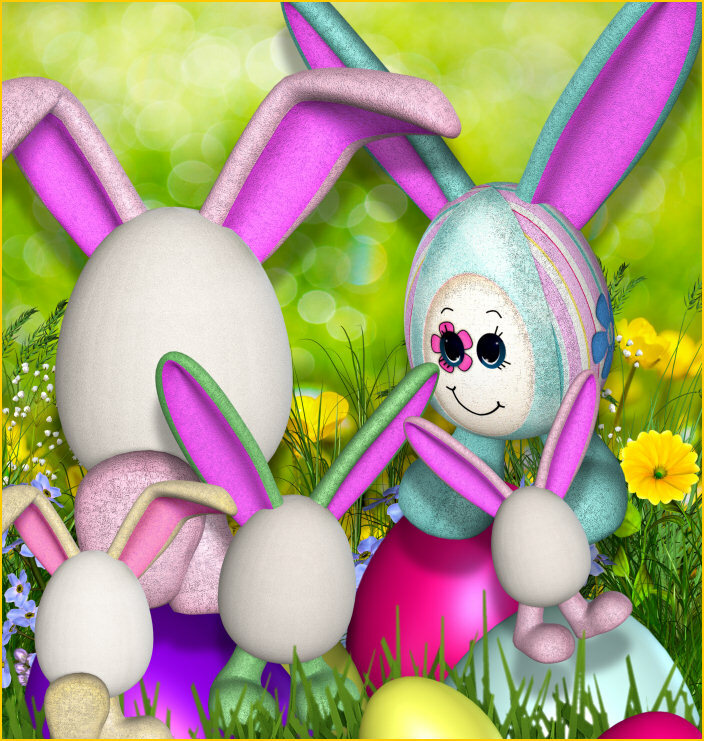 Sunny Bunny Easter Graphics–some sunny egg bunnies to help you dress up your Easter and spring designs. Maybe they should be sunny side up. They are as sweet as Peeps and are every bit as festive, though maybe not as tasty. You’ll use these little eggheads again and again. 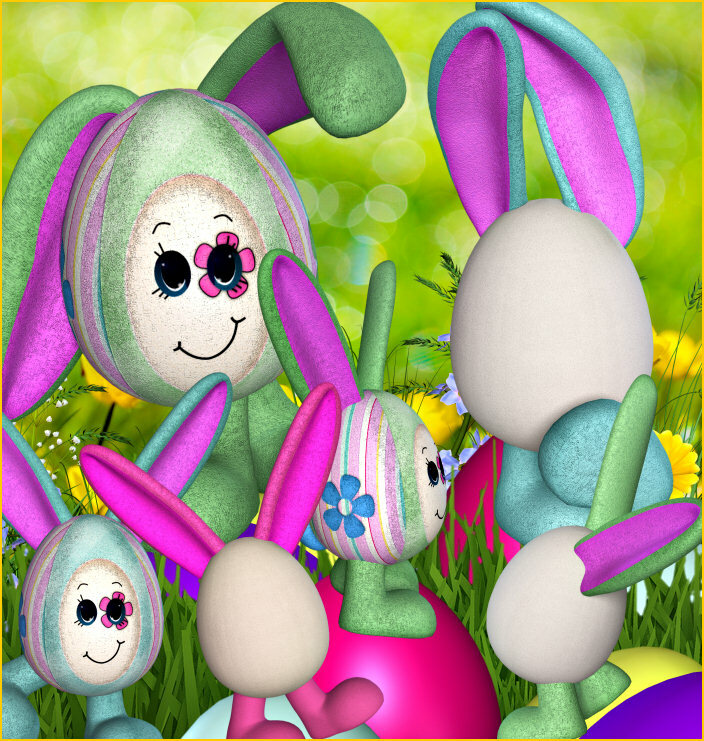 I used them in my Cutest Bunny Graphics package. The backgrounds used in the promo images are from my Green Spring Background package. The size of these images varies, but they are approximately 1800 X 1800 pixels. All are 300 DPI, making them great for print projects. Not all are shown. The actual images have no drop shadows. This package is two zip files, which are approximately 54-56 MB each.